Last week I was away to Egypt. I have some emotional ties with Egypt. It took me the better part of seven years, to deliver the cutter suction dredge ‘10th of Ramadan’1, to the Suez Canal Authority. This all started from the qualification tender, building it at the Port Side Shipyard in cooperation with DTC, eventually all the way through the guarantee period. 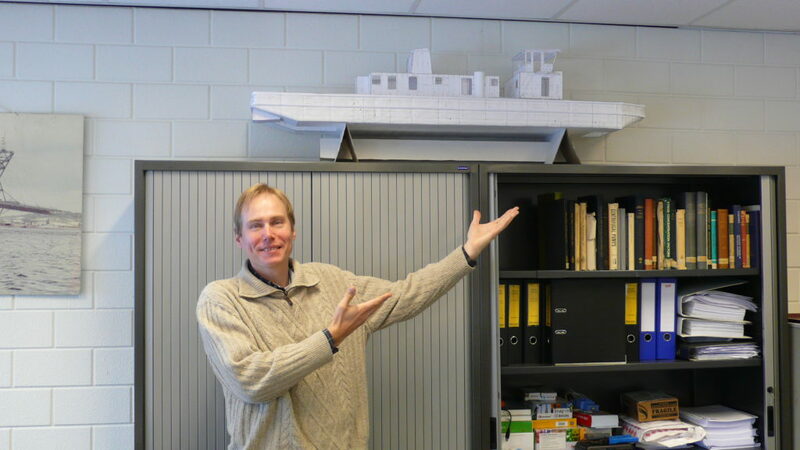 At a certain moment, I was so occupied with this dredge, I even prepared a paper model of the vessel in my own spare time. This nerdy pastime served a practical purpose. The specifications of the construction and the requirements for the installed equipment, were very complicated and it helped me to understand the problems in the hull construction before they arose in reality. 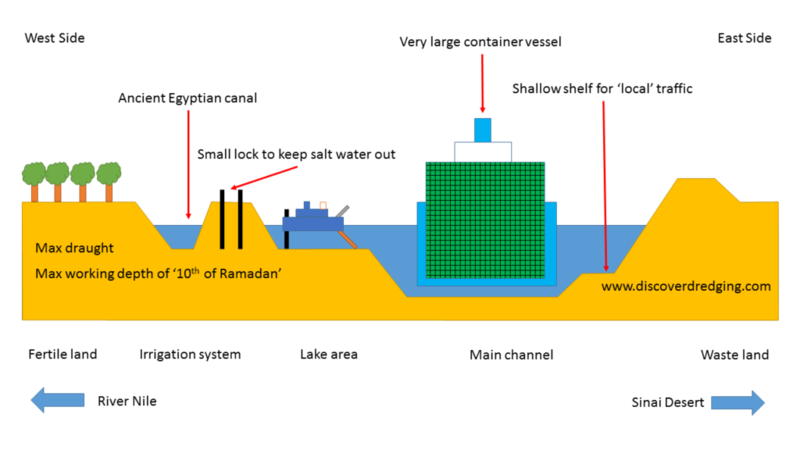 The environment of the Suez Canal demands some specific requirements concerning tank and space division. Furthermore, the SCA is very aware of the capabilities of the crew and demands corresponding considerations on equipment and systems. To fit this all in the prescribed box, was quite a puzzle. 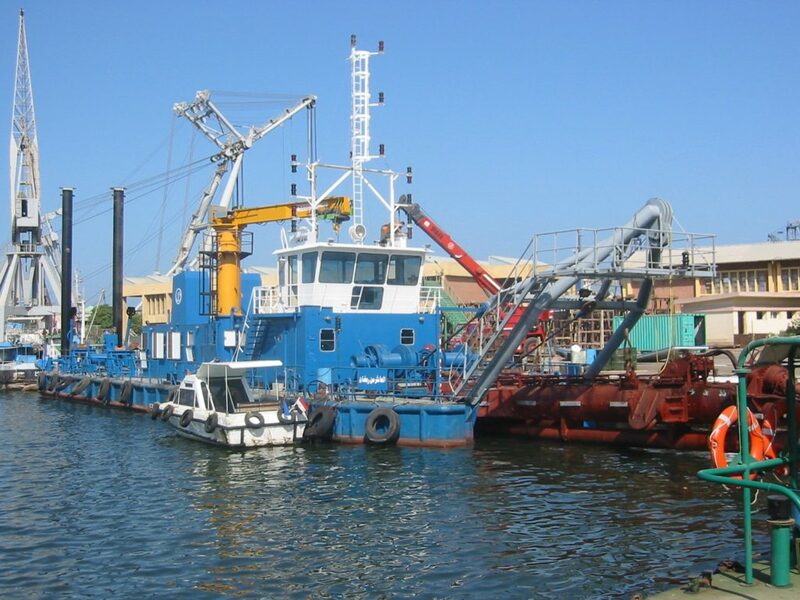 The normal operational environment of the dredge is maintenance on the shallow shelves of the Suez Canal. The maximum box size, that made the design so tricky was determined by a certain lock to access the irrigation system along the Suez Canal. On the west side of the canal, water from the River Nile is diverted to the fertile land over there. Already in ancient Egypt, this was a much treasured area. Joseph gave this area than called Land of Goshen to his family to live there2. Senausert III, Pharaoh of Egypt (1874 B.C.) also saw the potential of this area and used it to established a connection, between the Mediterranean and the Red Sea by linking branches of the Nile to the Bitter Lakes3. Subsequent kings renovated and expanded the canal, that eventually became known as the ‘Canal of the Pharaos’4. 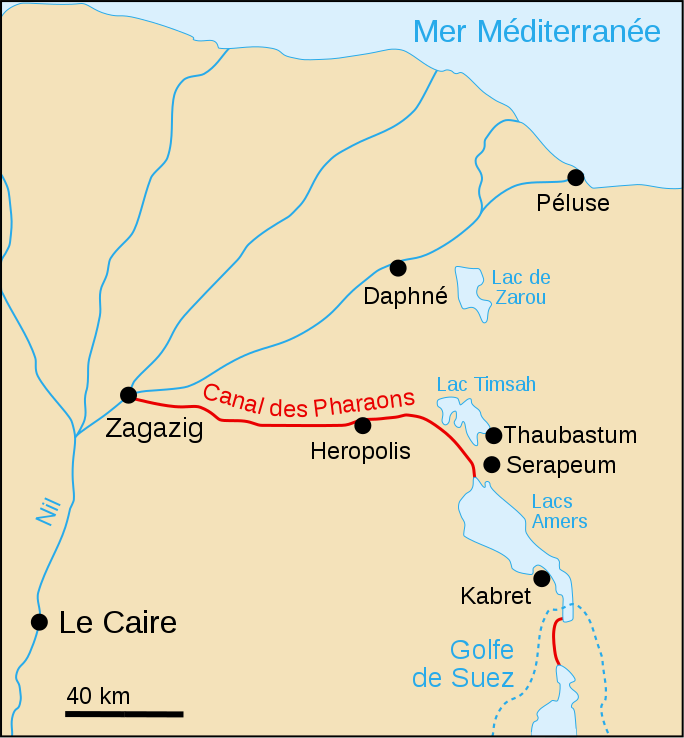 Unlike the international importance of the current Suez Canal, the Canal of the Pharaos was mainly used for local transport of produce of the irrigated land and construction stones from quarries on the Red Sea coast to the monuments along the Nile. In fact, the ancient Egyptians might be called the inventors of dredging canals for transportation, preceding the Chinese by about 1000 years5. Parts of the canal are still there. They are now incorporated into the irrigation system, that the Suez Canal Authority has to maintain, next to the big Suez Canal. In a way, I feel honoured, that the dredge that was once only a figment of my imagination and became a reality, will one day keep this ancient piece of Egyptian history alive and preserve it for future generations. Well, that may be a bit presumptuous, but I still feel proud over this dredge and have fond memories of the people from the Suez Canal Authority I have worked with. 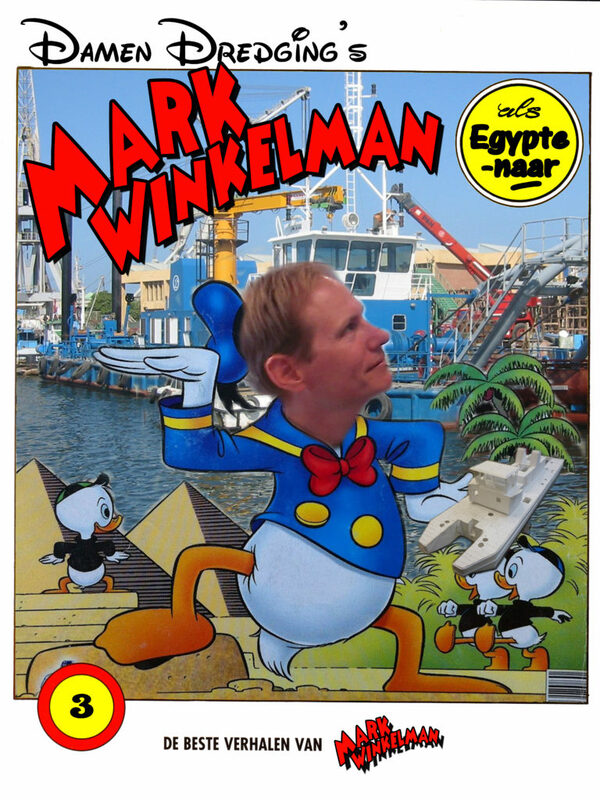 OK, I may have pestered my colleagues so much with my stories about Egypt and my little dredge, they even prepared a cover for a book for me to write about it on my work anniversary. Previous Previous post: Do You Have Wear Parts For Spare?